Hey there, ladies and gents! How do you feel about a good, old-fashioned dungeon crawl? That’s what I’ve got to offer you with Legend of Grimrock – Almost Human’s 2.5D, grid-based RPG. The plot is extremely simple: you’ve been imprisoned in the massive spire of Grimrock; a vast prison in which several unnamed kingdoms send their criminals. The deal is that if these criminals can escape, they’ve earned their freedom. None have managed to escape yet. 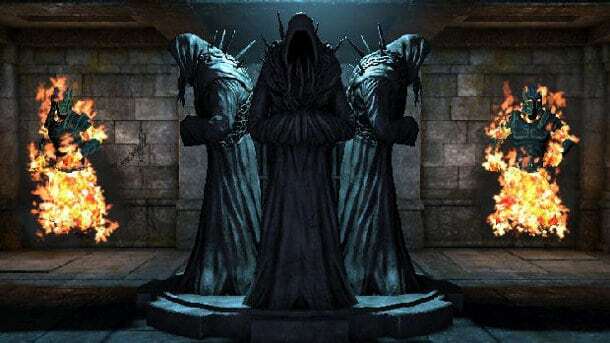 You control a group of four such criminals, as they descend into the depths of Grimrock. Character creation is a pretty straightforward affair; you can choose from one of four races (human, minotaur, lizard-man, or insectoid) and each character can be one of three classes (warrior, wizard, or rogue). Along the way, you’ll have to fight past devastating traps, head-scratching puzzles and deadly monsters, all of which are scattered liberally through the dungeon. Killing monsters nets you experience and lets you level up. It’s a game that very clearly has its roots firmly entrenched in classical pen-and-paper RPGs, and isn’t even remotely ashamed of the fact: you can even disable the map and sketch out the tunnels of the dungeon with graph paper. Everything about it screams old-school. That includes, of course, the difficulty. Legend of Grimrock, though it’s not roguelike, is nevertheless a remarkably unforgiving game. At certain points, you’ll find your party completely wiped out over and over, as you continually reload your save, trying numerous approaches until you finally manage to nail down one that actually works. The challenge, of course, is part of the fun -if the whole thing was a cakewalk, would it really be worth playing? My one gripe with the title is the spell system. Selecting spells can often be frustrating in the heat of battle, and having to click each individual rune in order to activate the spell you want every time you want to cast it can get tedious, to say the least. Still, I suppose that’s the trade-off for having access to such devastating magical power, right? It’s a good-looking game, as well; in spite of its nostalgic sensibilities, though things can get a touch drab at times. Side effect of being in a dungeon/prison, I suppose: you’re not really going to see a lot of variation in how things look. Still, the graphics have their own charm to them, even dated as they are. One of my favorite elements of the game doesn’t actually have anything to do with the core experience: see, as some of you may already be aware, I positively love to create things. Legend of Grimrock includes a full-featured dungeon editor to fiddle around with. Combine that with the Steam Workshop, and you’ve got yourself countless hours of replay value. If you’ve ever enjoyed old-school RPGs, or wasted hours rolling dice and fending off monsters, Legend of Grimrock’s a damned fine choice. It’s challenging, well-made, and thoroughly enjoyable. Plus, with a sequel on the way, you might as well get started now, right?